An urban restaurant with a twist, NOLAN has taken to the city center like a fish to water. It’s not often you come across an establishment so attuned to its own surroundings, to the point where it simply couldn’t exist anywhere else. From the hand-thrown pottery plates (custom made to match the restaurant’s colorway), to the pared-back menu, NOLAN is minimalism reinvented. There’s nothing superfluous about this tiny little corner location and that applies to everything, from the table settings to the cooking philosophy. No need to go looking for grandiose concepts and big ideas. 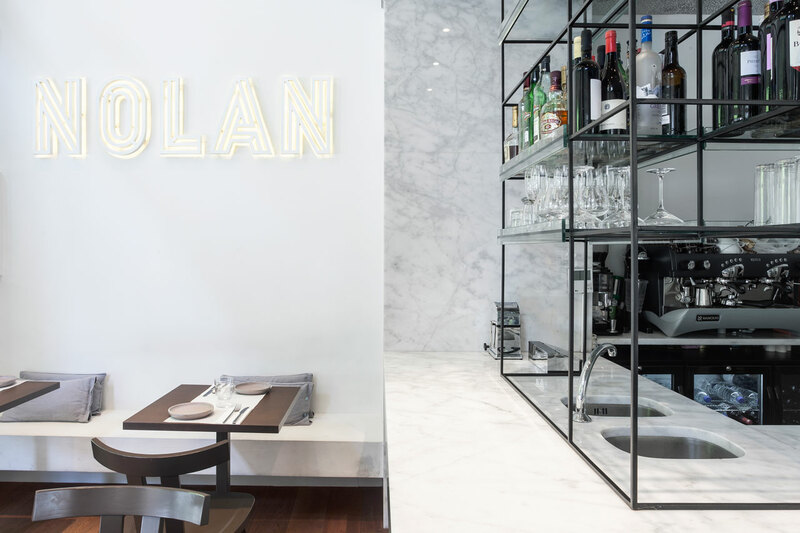 NOLAN is a restaurant built around its chef, totally relying on him to define its identity with a tight selection of shareable dishes, like delicate pieces of the same delicious puzzle. Only in this case, you don’t have to order every single thing on the menu to get the big picture! 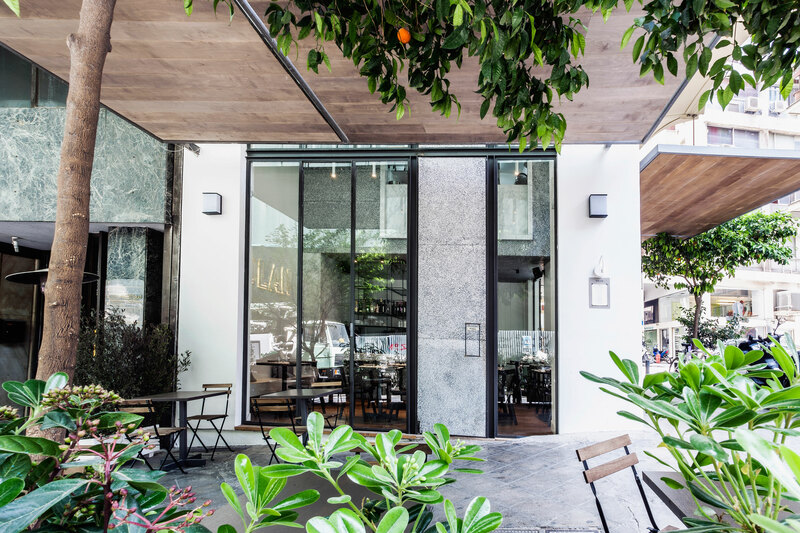 It all started when owner Costas Pissiotis turned to chef Sotiris Contizas for a little pick-me up on a particularly tough day. Raised by a Greek father and a Japanese mother, Contizas simply drew on his multicultural upbringing for a little comfort food, Greek-Asian style. And that’s NOLAN in a nutshell, and always has been since day one. No frills, no sides and a revolving door menu, depending on the season and market availability. The Michelin Guide recently took note of this silent revolution and awarded NOLAN a "Bib Gourmand" for its simple, skilful cooking and fantastic price-quality ratio. Oh, and in case you were wondering, the restaurant was indeed named after Christopher Nolan, the owner’s favorite director who gave Batman the films he deserved. If you have any further questions, you're gonna have to ask them yourself after you make a reservation!